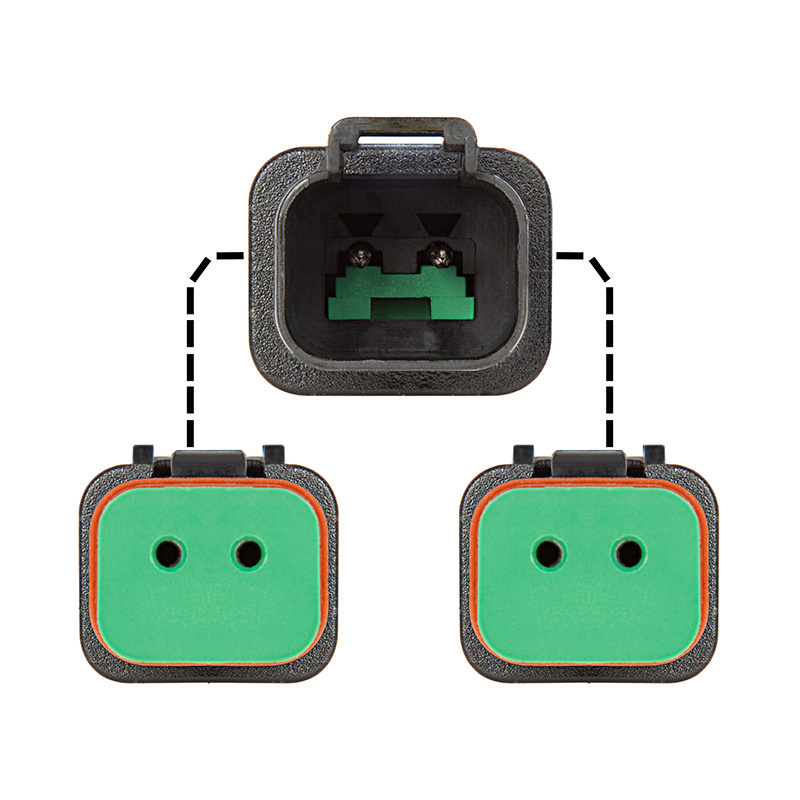 Use this Deutsch (DT) connector splitter to power multiple LED work lights or off-road light bars. 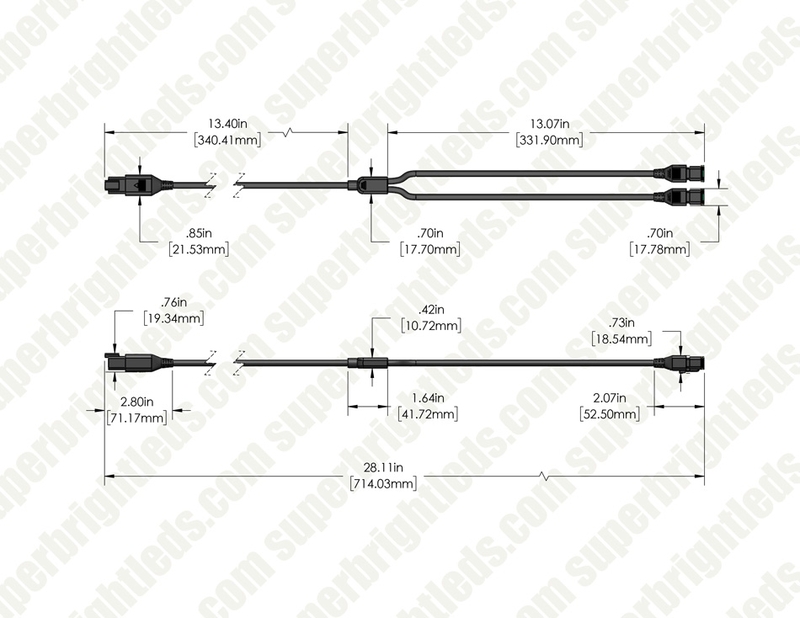 The 22" DT splitter has 1 female connector and 2 male connectors. 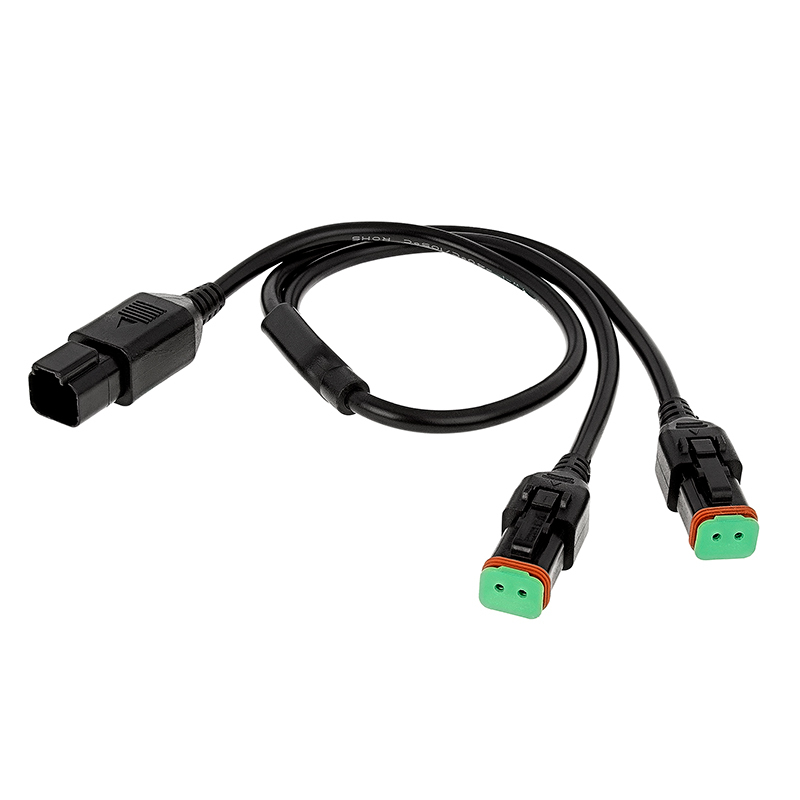 Don't get a wiring harness without Deutsch connectors. They are water proof and makes any setup look professional. The wire is covered in a rubbery plastic sleeve, and hasn't melted yet from the extreme engine temperatures while on the trail. Perfect item for adding an additional light to an existing setup.My original light has this connector, which made the job simple.